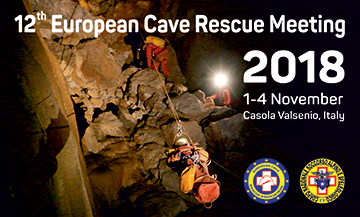 Non-profit Cave Rescue Group (GRJ) works since October 2014 and exists as a part of the Polish Caving Committee of Polish Mountaineering Association (PZA). GRJ gathers more than 45 highly experienced and motivated to help cavers, cave’s divers, paramedics, physicians and other persons responsible for different part of rescue operation. Even though all of them are very well trained and they proved this during real rescue actions, each participant of GRJ permanently improve their skills during frequent trainings or unification meetings, both internal and foreign. Very important part of GRJ’s mission is to counteract accidents by leading of preventions such as e.g. teaching safe practices during cave actions.